Together We Pass brings you the range of fully accredited ICB courses through our private distance learning college TWP Academy. You can study while you work, just as you can with UNISA. However, our qualifications are fully supported, and much easier to achieve. Our ICB courses start at a lower level, and can take you right through to University level qualification if you move over to CIMA on completion of the ICB diploma. So if you are struggling to pass your UNISA degree, move over to us. We can get you qualified. 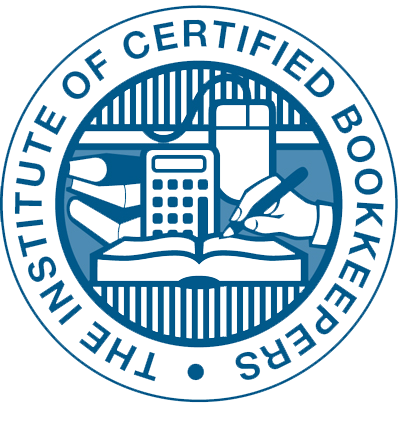 The Institute of Certified Bookkeepers (ICB) is the most highly regarded professional body for bookkeeping, accounting, office administration, public sector accounting and business qualification in South Africa. The ICB is a body that focuses on providing top quality, fully accredited courses in accounting, bookkeeping and office management. The ICB has a rich history of supplying and promoting accounting and bookkeeping qualifications. They have been doing so since 1931 and continue to do so even today. The ICB is also affiliated with the Institute of Financial Accountant in UK., and they are internationally recognised. Therefore if you get an ICB qualification you have the potential to work overseas. These are just some of the reasons why Together We Pass has decided to offer a wide range of ICB courses. There are ICB courses for everyone ranging from diplomas that will help you learn a wide range of skills, to short courses designed to teach you very specific skills you feel need improving. This is done to ensure that whether you plan to study for three years or six months, whether you want to get a diploma or a certificate, we have courses for you. ICB courses – Why are they Great? The ICB courses are accredited By QCTO and FASSET SETAs. When obtaining an ICB qualification, students are permitted to become an ICB member. The courses offered will equip you with the proper knowledge to succeed in this industry. If you study with ICB you get different qualifications as you study further. You get 4 qualifications on your way to a diploma. The qualification takes around 3 years to study part time, rather than the 10 years for UNISA degree. The entry requirement is ranges from Grade 10 to Matric. The great thing about this system is that on your way to diploma you can actually receive 4 qualifications from FASSET, starting at a Certificate and ending at the full Diploma. With UNISA you only get the final qualification, and you don’t get anything if you do not manage to complete the full degree. This means you can start to look for work with a qualification behind you after just one year of studies.